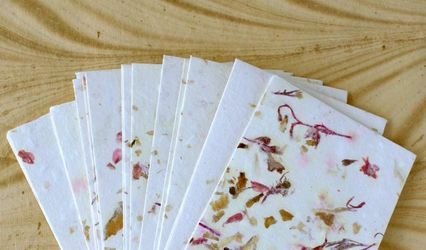 Papercraft Miracles is an eco-friendly handmade paper studio specializing invitations, bookbinding and plantable paper products. Each piece is handcrafted with love and a little bit of magic at our solar-powered studio in Buffalo, NY. 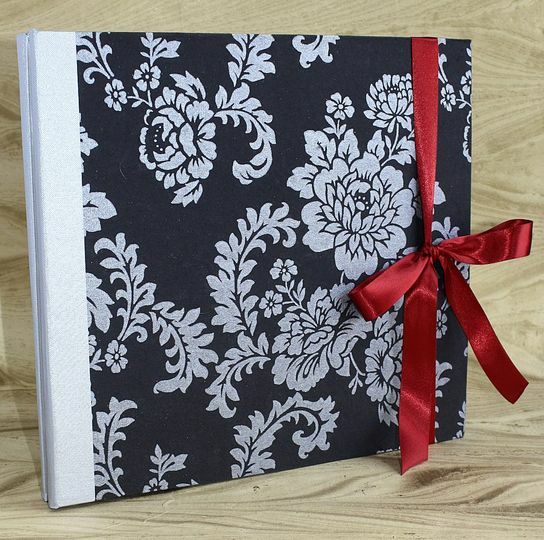 From invitations to guest books, favors to photo albums; we've got you covered. 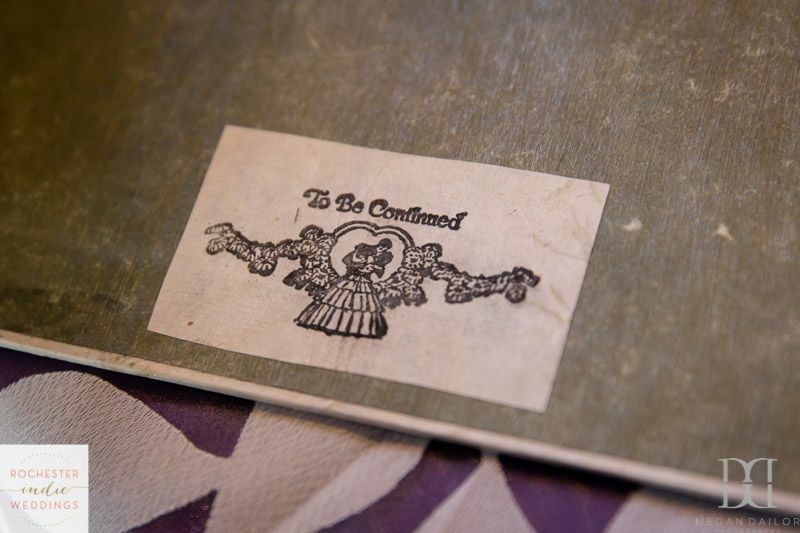 Featuring custom orders, the possibilities are limitless. We use our paper to tell your story. We hand-form each of our papers one sheet at a time. 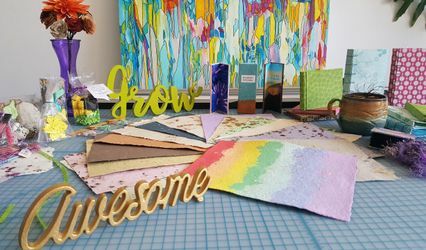 All of our products are fully customizable, right down to the material that your paper is made from. We can incorporate little pieces of your love notes, ticket stubs and other memorabilia to craft a piece that truly shows who you are as a couple. 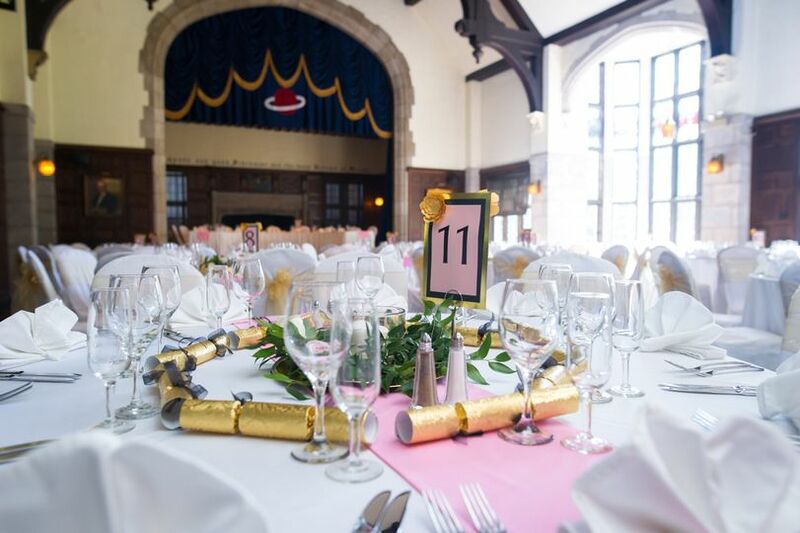 By carrying your theme throughout your event, we create the most meaningful memories, so you can focus on what's important...living in the moment. 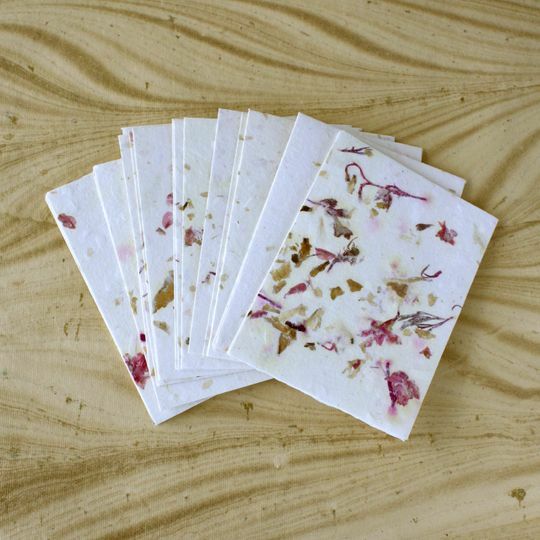 In addition, we make plantable paper with seeds embedded inside that will grow flowers, fruits, vegetables or herbs when planted in the soil. 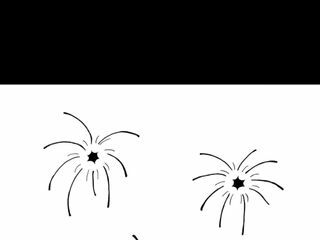 We also make seed bombs in any color and virtually any shape as favors for your guests. 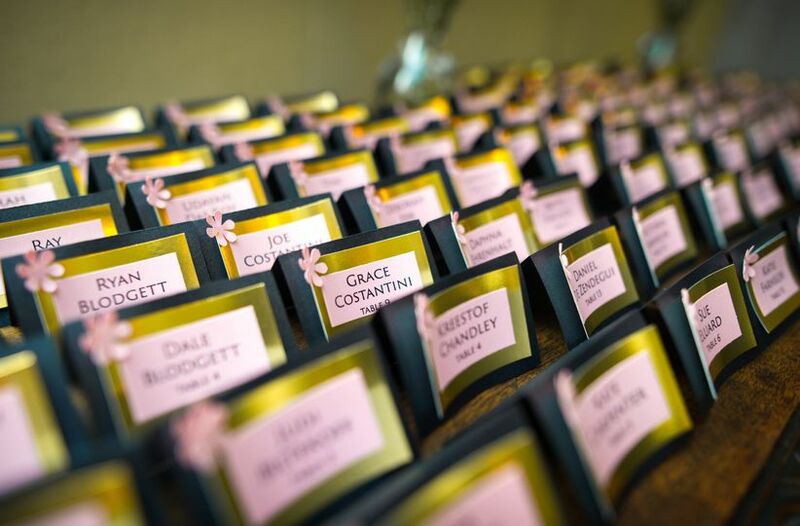 You could have invitations that grow your wedding flowers...or favors that grow flowers in your wedding colors. You dream it up. We can make it happen. 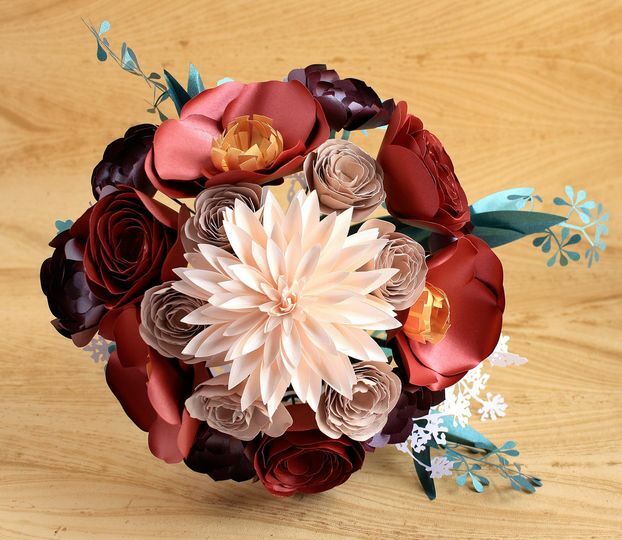 We also create long-lasting paper flowers for bouquets, boutonieres, centerpieces and backdrops. Really sold on fresh flowers? 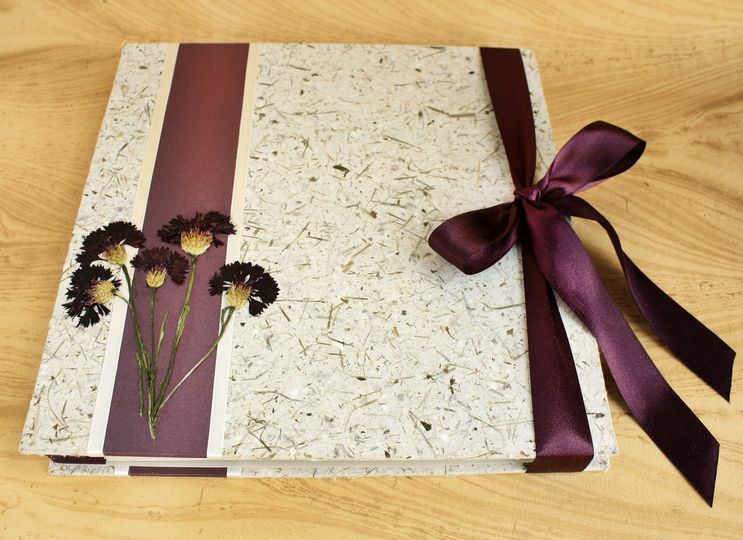 We can dry them for you after your event and even take those dried flowers and make you some stationery with them. 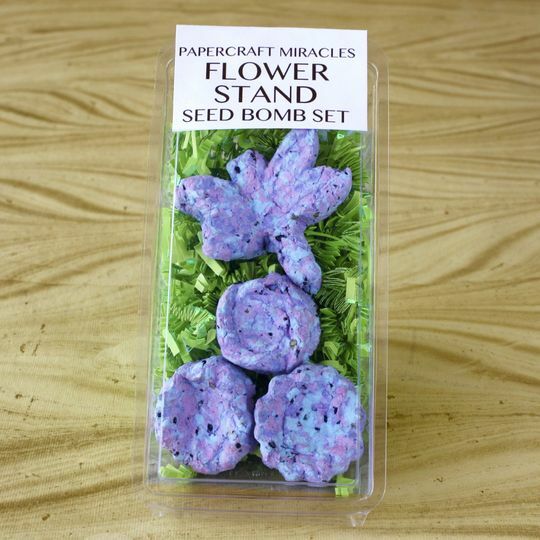 Papercraft Miracles is a different kind of company. We love to get to know our clients, learn your stories and to help you find the best way to share that story with your family and friends. 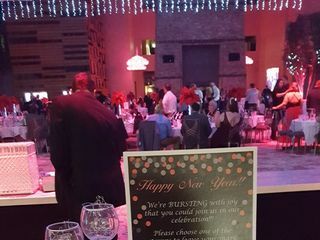 We're with you all during the planning process, helping to make putting on a gigantic party a little bit easier. With custom thank you notes, handmade scrapbooks and clamshell boxes we help you preserve those memories long after the party is over. 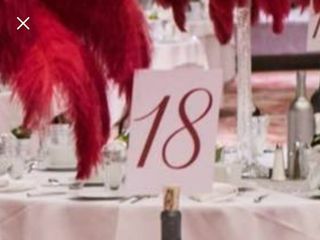 Table Numbers, Place Cards, Menus, etc. Beautiful craftsmanship, memorable, and friendly service! 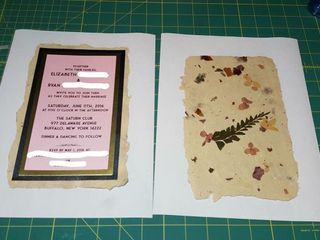 Janna made me incredibly beautiful, creative, personalized invitations that I was proud to send to my guests and will remember forever! I can’t wait to work with her again. Great customer service and response times, and an added bonus is that I get to feel good about supporting a small business that also prides itself on sustainability! Thank you so much! 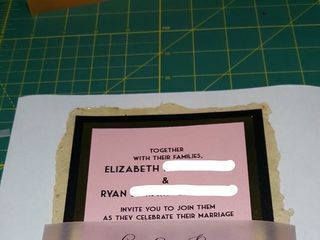 I'm so glad you loved the invites and I can't wait to make more for your future events! Janna was great! Flexible, creative and had no fear on a one-of-a-kind project. Very pleased and highly recommend. Thank you so much Kelsey! I enjoyed working with you on these handmade paper belly bands. They really came out so beautifully. I appreciate you trusting us with this project. Thank you Mindy! It was fun challenge to make that fingerprint guestbook. I'm so glad you trusted us to make it for you. Order 3 or more different items for your wedding, save 10%. 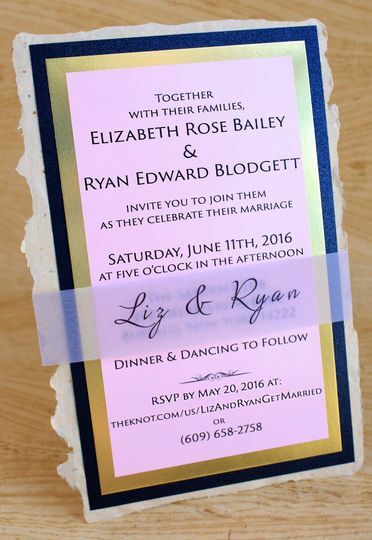 For example, save-the-dates, invitations and a guestbook.